Transform your entertainment center with this Sharp 40&quot; Class FHD (1080p) LED TV (LC-40Q3070U). The 1080p resolution delivers clear, vibrant picture quality. With a full-HD slim panel you’ll be impressed with how more screen fits into less space without taking away this Sharp TVs’ vivid colors in striking detail. Numerous ports to connect external devices, including three HDMI ports, for connecting a gaming console, computer or other devices. Featuring Dolby Digital Plus sound with a 7W+7W audio output and a 60Hz refresh rate, this Sharp 40-inch LED TV delivers an immersive listening and viewing experience. Transform your entertainment center with this Sharp 40" Class FHD (1080p) LED TV (LC-40Q3070U). The 1080p resolution delivers clear, vibrant picture quality. With a full-HD slim panel you’ll be impressed with how more screen fits into less space without taking away this Sharp TVs’ vivid colors in striking detail. Numerous ports to connect external devices, including three HDMI ports, for connecting a gaming console, computer or other devices. 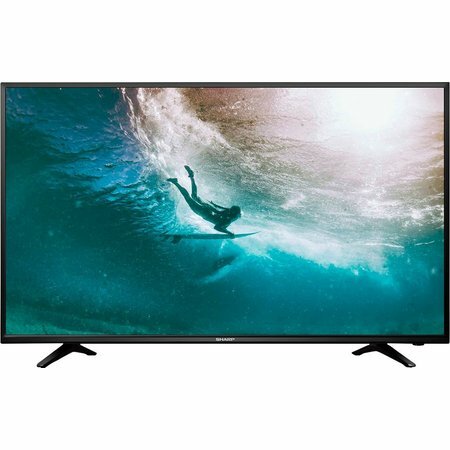 Featuring Dolby Digital Plus sound with a 7W+7W audio output and a 60Hz refresh rate, this Sharp 40-inch LED TV delivers an immersive listening and viewing experience. Motion Rate 60 technology - Makes every detail matter during fast-moving scenes. Direct-lit LED backlighting - Offers pictures with an improved contrast, compared to edge-lit LED backlighting. Game mode - Enables fast video processing. HDMI ARC/CEC support - Makes the setup process streamlined by minimizing wires and enabling devices to communicate with each other. 39.6" screen (measured diagonally from corner to corner) - Fits nicely in a living room or bedroom. 1080p resolution for stunning HD images - You can watch Blu-ray movies and 1080p HD content at a high level of detail. Two 7W speakers - Ensure advanced TV sound. One USB input - Lets you easily connect your digital camera or other USB device to view compatible JPEG files. 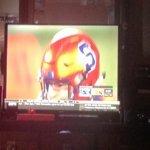 Manage viewing experience for your kids - The built-in V-chip allows you to block content based on program ratings and check ratings of unfamiliar programs. Perfect for a bedroom, very big and loud. The picture and sound is clear and it has many sound and display options to choose from if you aren't satisfied with how it came. Got it on sale and it's worth the price. Extremely happy with my purchase. Great flat screen and great price!! It's sooo easy to shop and buy on the site!! I received my item 6 days earlier than specified! Lovvvve the tv!! Was easy to install and looks great! Will be shopping on this site from now on!! Thank you!! A good tv for the price! Picture quality is nice and the sound is decent for $150. Arrived in tact and set up was easy. 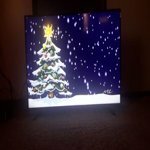 Recommend if you are on a tight budget or looking for an inexpensive extra tv. So far I will give a solid 5. Arrived as promised, more on the store than the product, but setup was quick and easy. The remote is very light weight but that the way things seem to be going these days in the price long especially. Speaking of price, the Sspecial Buy pricing was phenonamal. I was axioms about the screen but there wasn't any damage to the screen or lines. The sounds is pretty good as TVs are today. I hope it holds up but I am keeping the box a little longer since there were several unfavorable post. 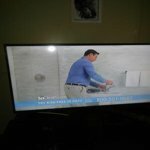 My elderly mother's TV stopped working. Didn't want her out shopping for a TV in the dead of winter so, after some research, I ordered this TV. It had everything she wanted and had a great price, which I loved. She is very happy with it and I'm happy she is happy. And neither she nor I had to go out in the dead of winter! Thanks, Walmart! Just arrived 2 days ago. I almost love this tv, I hate the remote. I will be replacing the remote with a RCA unit that's user friendly. Pulling up over the air program info. is a 2 button operation and it only stays on screen 2-4 seconds. I'm not a speed-reader. 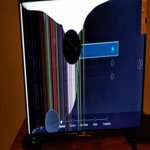 The TV arrived with a broken screen. Had to take it back. Still waiting for my refund. Quick to take, slow to give. Plugged in this TV and all I saw was a weird series of cracks of color. Called Sharp and they said the screen was broken and sorry, they don't cover shipping damage. I explained the box was not damaged. They explained 'not their problem.' Fortunate for me I purchased through Walmart and they accepted the return. Nasty Sharp customer service also.